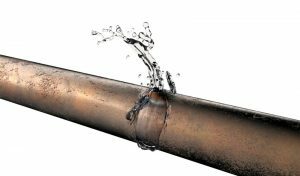 Tips for Detecting a Leak | Reliance Plumbing Sewer & Drainage, Inc.
Little leaks can quickly turn into bigger ones, and bigger leaks can waste a lot of water, while doing extensive damage to your property. Leaks that develop in walls or beneath floors and above ceilings (which, unfortunately, is most of them) can do so without you even noticing for months or longer. And since so much of your plumbing system is hidden from sight, and since leaks really can form anywhere along your piping, it’s essential that you learn how to detect them. Even if you only suspect a leak, the best thing you can do is give our professional plumbers a call. Alright, we’ve stressed the importance of learning how to detect leaks, now how do you actually do that? Where do you start looking? Read on! Remember, as we mentioned above, in many cases a leak can exist for quite some time before you even discover it. This doesn’t, however, mean that it’s not causing problems while it goes unnoticed. Sure you may not have a ceiling caving in, but the dampness created by even a minor leak can lead to problems with biological pollutants, mold growth, and more. If you suspect that your water bills aren’t matching your actual water usage, then please consider giving our team a call to discuss our leak detection services. This will enable our plumbers to pinpoint the exact source of the leak, or even rule it out as a possibility. That peace of mind could be even better, right? Running water makes a sound of course. If you hear something that sounds suspiciously like water running, dripping, bubbling, or falling, don’t ignore it. If there are no plumbing appliances running at the time, and there’s nothing else going on like a toilet filling its tank or someone using the sink, then you could very well be hearing the result of a leak. Again, pinpointing the actual source of the leak before it starts causing damage is imperative. Give our team a call once your ears tip you off to potential problems. Does your home seem to have a musty odor throughout? If so, it might be due to damp conditions that you can’t see. Remember, a big concern with water leaks is the potential for biological pollutants and mold to thrive, in addition to the physical damage that can happen from water exposure. If you smell a mildew odor, then it could very well be from a water leak. This is especially a risk if you also see or hear any of the other symptoms we mentioned above. For expert plumbing service, installations, or maintenance contact Reliance Plumbing Sewer & Drainage, Inc. Our knowledgeable plumbers in Evanston, IL serve the North Shore and Northwest Chicago suburbs. Rely on Reliance!